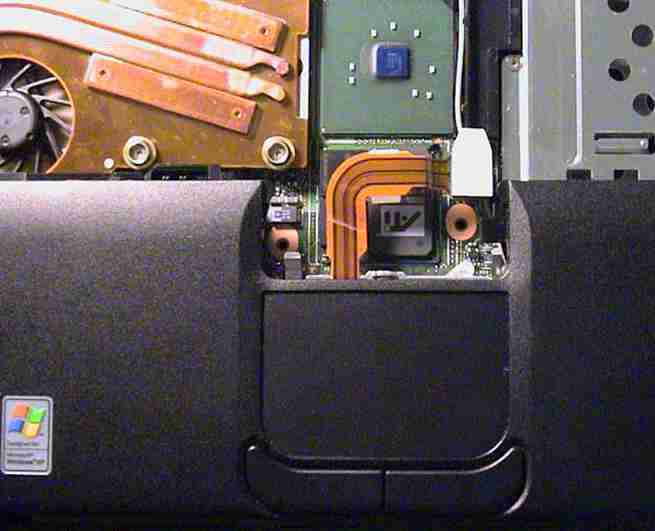 The 24RF08 eeprom is located right under the network card, which is under the mouse touch pad, very simple to open, and very simple to locate the eeprom as well. 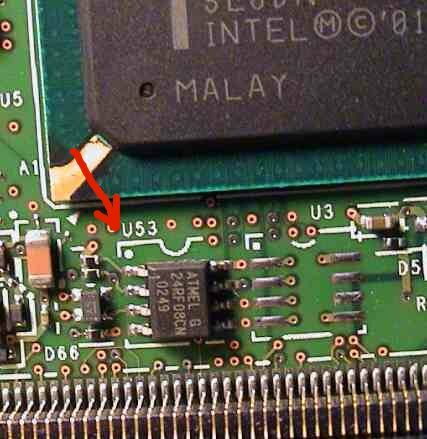 NOTE: you may have another eeprom installed at location U3, that other eeprom may be a 93C46, just ignore it. 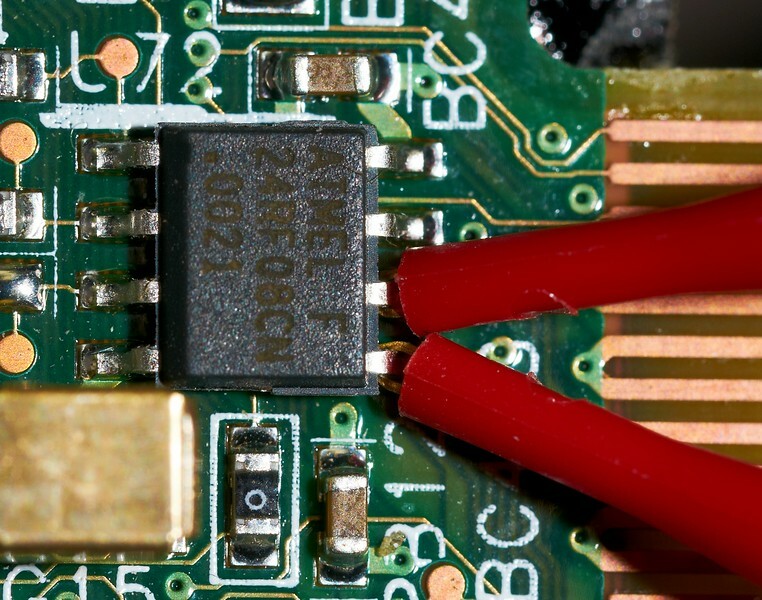 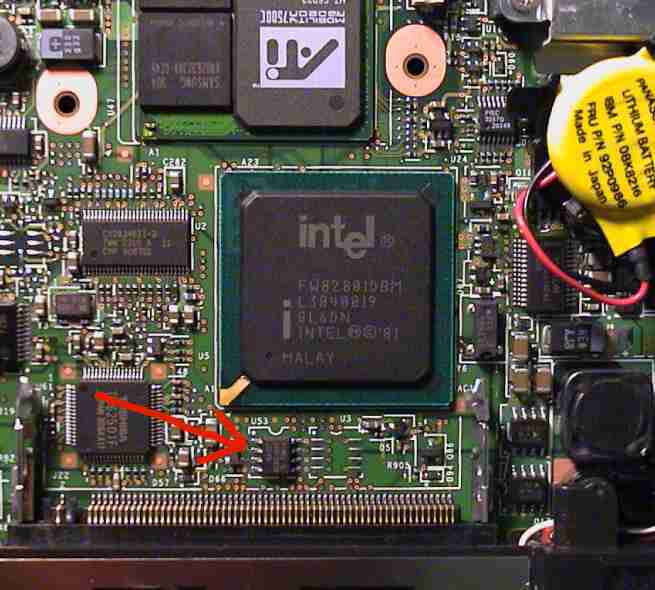 NOTE: VCC is NOT connected, the ThinkPad supplies power to the eeprom later on we will switch on the TP to analyse the eeprom.